When Perth-born teacher Lucy Orr conveniently clinched a probationer’s post back in her home City after graduation, she took the popular step of moving back home with her parents. However, once she secured a teaching job in 2013, it was time to fly the nest and Lucy (25) embarked on her search for a suitable rental property. Like many prospective first-time buyers, Lucy soon realised that renting was not for her, feeling that the monthly outgoings were significant when there would be no long-term gain. 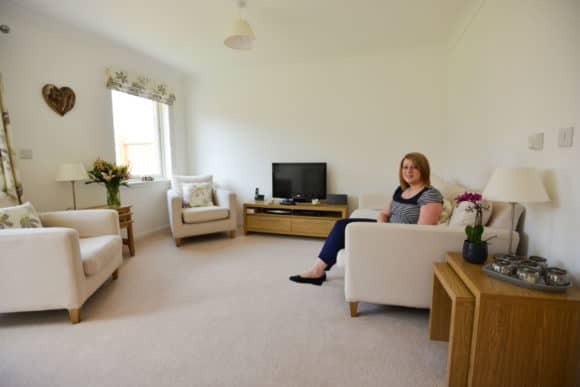 She therefore started exploring possible purchasing options and soon paid a visit to Stephen’s Balgarvie site in Scone, just a short journey from Perth city centre and her teaching job. After initially viewing the show apartment, Lucy set her mind on the ‘Ben Cruachan’ and began investigating the different finance options open to her. Lucy originally thought that the ‘Rent to Buy’ scheme would be best for her but, after Stephen’s sales staff put her in touch with Wendy Whyte at First Mortgage, it became clear that the ‘Help to Buy (Scotland)’ initiative was the best option. Furthermore, Lucy was pleasantly surprised at the ease of negotiating her ‘Help to Buy’ purchase.